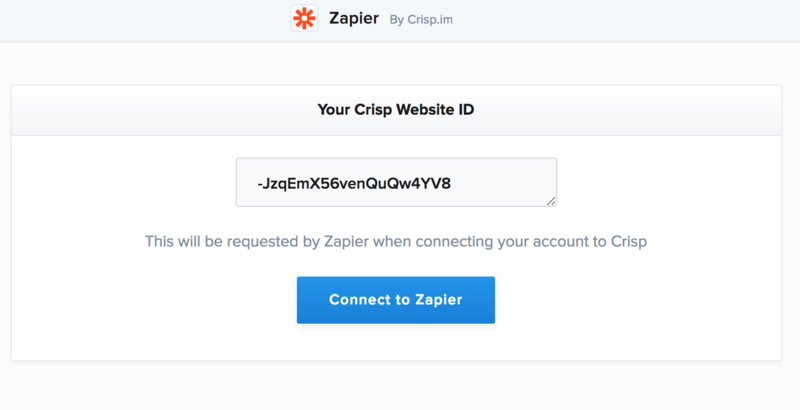 Crisp is integrated with Zapier so you can automate your customer workflow. Use the New Contact trigger and then link your Zap with a third party CRM such as Zoho CRM, Hubspot, or Pipedrive. Use the New Conversation trigger and then link your Zap with SMS App. Use the Incoming Message trigger and then link your Zap with Dropbox or Spreadsheet.